Pain in the heel can be debilitating and severely affect daily activity. The most common cause of heel pain is plantar fasciitis, however, consideration for other causes should always be considered, these include nerve compression, inflammation of the fat pad and even stress fracture. The plantar fascia is a strong band of tissue that maintains the integrity of the arch of the foot, acts as a shock absorber and aids in the toe off phase of the walking cycle. The plantar fascia originates from the inside of the heel bone/calcaneum, spans the arch and attaches in to the bases of the toes. Symptoms occur if the fascia becomes injured or inflamed. Pain is felt at the origin of the fascia on the inside of the heel and/or under the central part of the arch. Symptoms tend to be a dull ache/throb which is worse in the morning on first rising or after sitting for a period of rest. Gentle exercise may ease things a little as the day progresses. One single major direct trauma onto the underside of the foot, or repeated micro trauma from a lump or bump in the shoe can cause irritation to the fascia. A sudden increase in intensity in sporting activity or non-sport related activity can place increased amount of pressure through the fascia. A high percentage of patients who present in clinic are overweight, carry increased weight puts more strain through the feet, weight loss is plays an important role. Referred pain from the lower back can give symptoms within the heel and foot. Diagnosis tends to be clinical, based on history/activity and symptoms followed by assessment. This often enough to provide an very accurate diagnosis, sometimes imaging is used to confirm diagnosis. Ultrasound examination is excellent for this purpose as it is quick and sensitive. 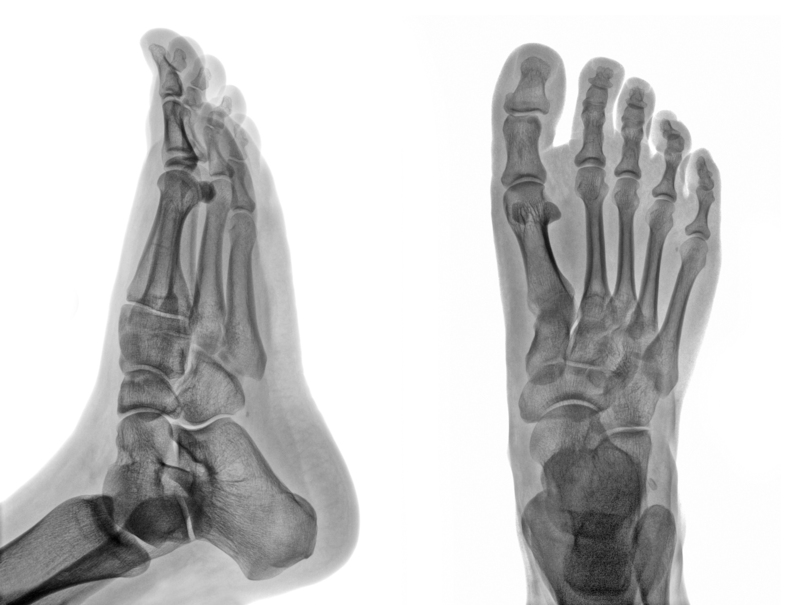 It assess the thickness of the plantar fascia as it arises from the heel bone, it can identify any tears or ruptures.